.. it’s ridiculous when some skins are even cheaper to just buy them again at the shop, it totally defeats the purpose of the wardrobe feature.. Direct downloads from Google Drive, no ads or bs sites. Updated items database (.item feature) with full 5.1 db (RT accessories etc). “.rank mika-antriksha“ (5-char abbreviations work too “Antri”) or “.rank mika” if your current server is Antri and it will launch the player rank page at http://soyto.github.io if the player is 1-Star or higher. Thanks to http://soyto.github.io/ for the collaboration. 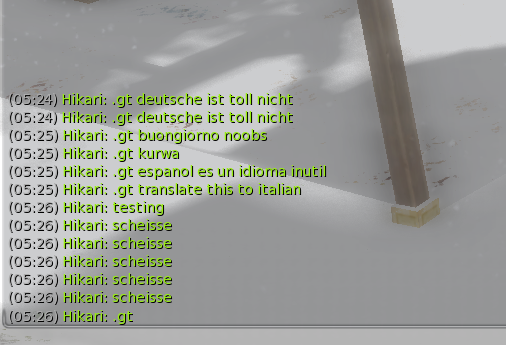 Ever wondered what all the mentally handicapped people spamming other languages in group chat are saying? fret no more, ARM is here to help.